New members of the New York State Assembly will be sworn in today. 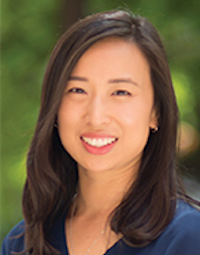 Among them will be Yuh-Line Niou, who defeated challengers left and right last year to win the assembly seat in our district and start a new chapter for lower Manhattan. 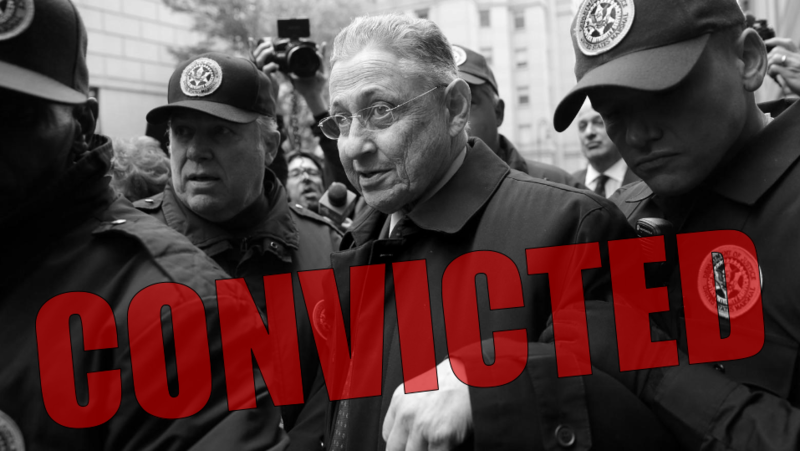 Niou succeeds placeholder Alice Cancel, who won a special election in 2016 called after the 2015 conviction of Sheldon Silver on federal corruption charges. Cancel remains a district leader for the assembly district; Silver remains free while awaiting appeal. Niou’s temporary district office opened yesterday at 250 Broadway, Room 2212, across the street from City Hall. The phone number there is 212-312-1420. A Village Voice profile was published yesterday highlighting Niou’s achievement. 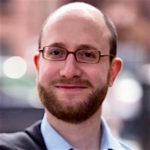 Lee Berman racked up huge numbers at East River Coop last week to win his seat as State Democratic Committee member. Berman beat two other candidates in the 65th Assembly District: Chris Marte by 242 votes and Dodge Landesman by 432 votes. But it was by running up his total in East River’s four election districts that Berman came out ahead: he beat Marte by 328 votes and Landesman by 354 votes here at home. 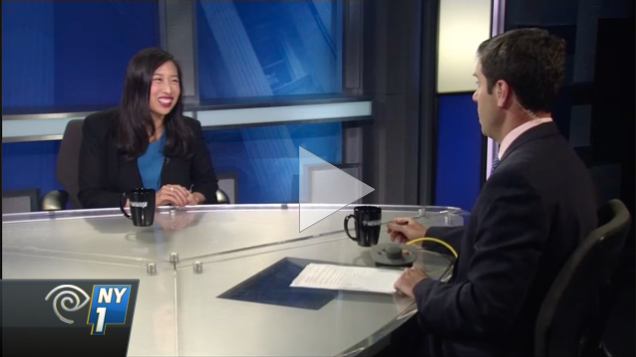 Click to watch interview on NY1. 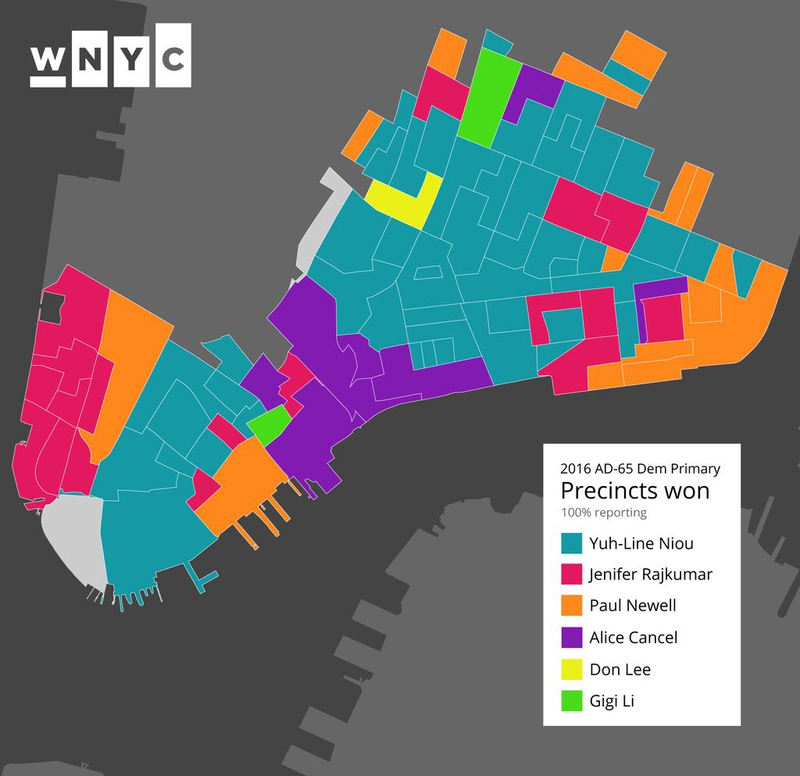 Yuh-Line Niou succeeded in ousting Alice Cancel in the primary for state assembly yesterday, and East River’s Lee Berman beat two other candidates in the open seat for Democratic state committee member from the 65th assembly district. Niou was running for the second time this year. In April, on the Working Families line, she lost narrowly to Cancel in the special election to fill Sheldon Silver’s seat. 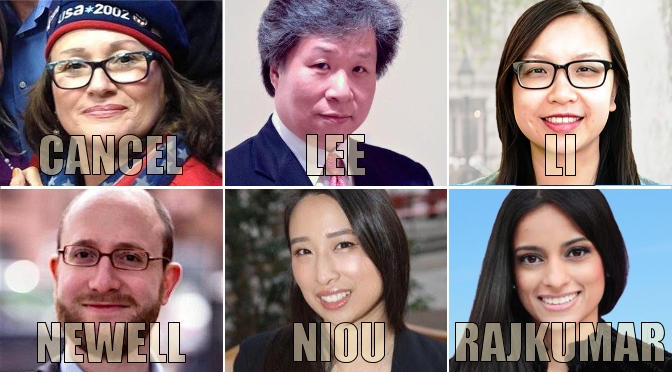 Niou will now face Republican Lester Chang Bryan Jung in November. Because of the district’s heavy Democratic enrollment, Niou is certain to win the seat for a full two-year term. Cancel was selected as the party candidate in February by a closed nomination system that was largely seen as a last grasp of power by the Silver-Rapfogel machine that has controlled Democratic politics downtown for decades. Her showing yesterday — she came in a distant fourth in a field of six — is the strongest signal yet that the old political machine, tarnished by scandal and conviction, has lost its influence. In the race for state committee, the Truman Club (Grand Street’s old-guard Democratic club) did not even enter or endorse a candidate. 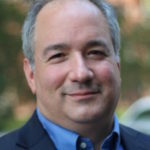 Lee Berman, a member of the East River board of directors, has been an outspoken foe of the Silver-Rapfogel machine in our community and in our coop. 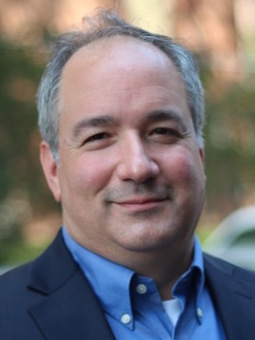 Lee Berman is a member of the East River board of directors. The post is open because the incumbent, John Quinn (Alice Cancel’s husband), is not running for re-election. 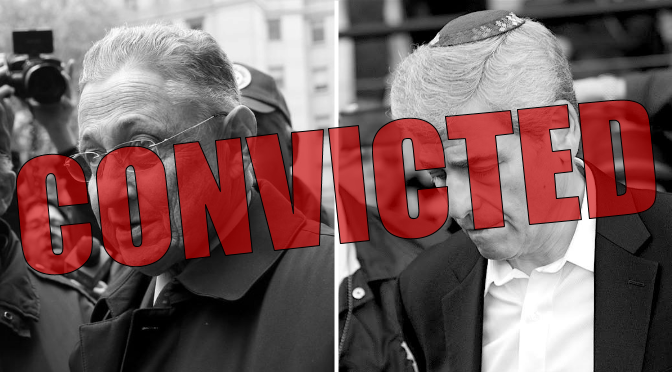 Alice Cancel has been dogged by allegations all year that she is Sheldon Silver’s hand-picked successor. Win or lose, she’ll be unable to escape that shadow now that Silver’s political allies in the local Democratic club have gone public with their support. 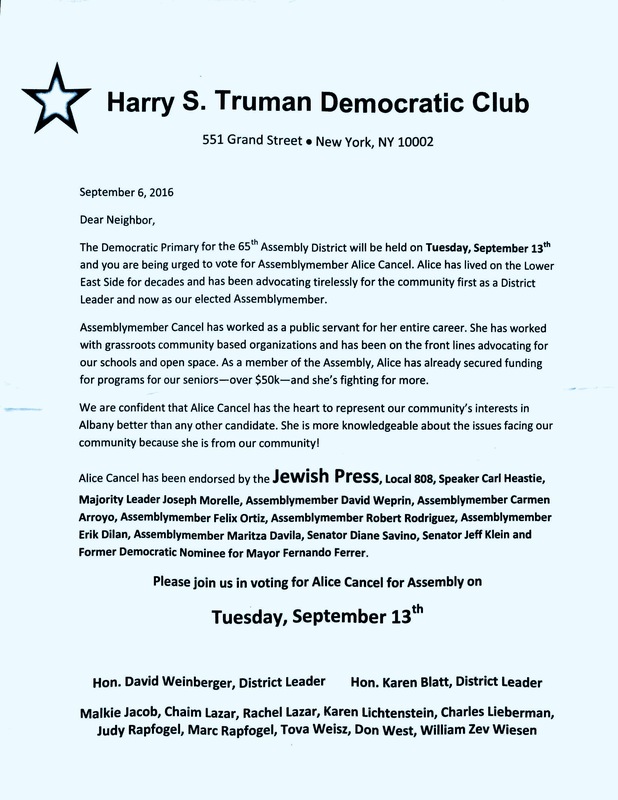 A flyer this weekend from the Truman Democratic Club — the Silver-Rapfogel Grand Street political machine — announced its official endorsement of Cancel. Cancel won the Democratic nomination in February for the special election in a closed party process that many decried because of the influence of cooperator Judy Rapfogel, Silver’s chief of staff. 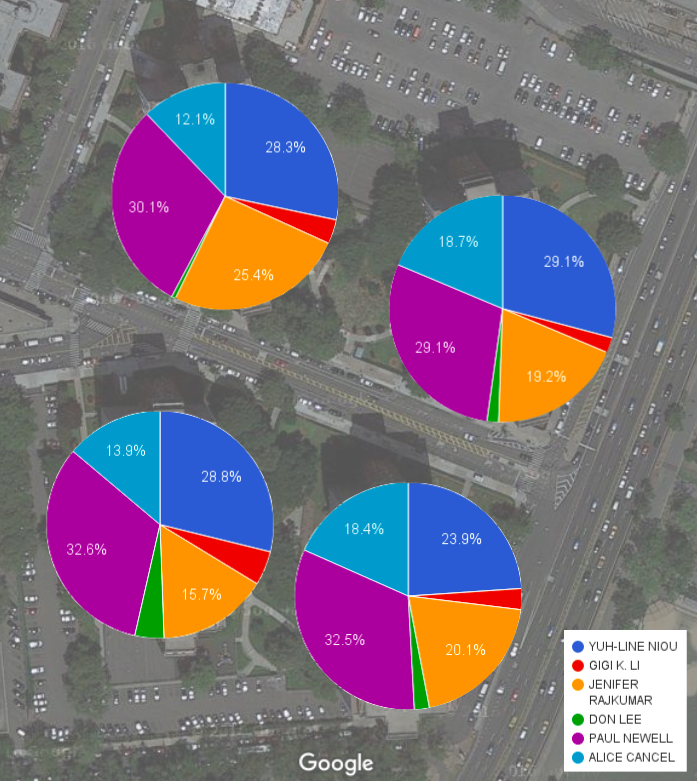 When voters had their say in April, Cancel won the 3-way race but, notably, lost East River to Yuh-Line Niou. After convictions of Sheldon Silver and William Rapfogel, Tuesday’s vote will be another big test of whether the local club still has political influence on Grand Street. For 40 years the Silver-Rapfogel machine has controlled Grand Street politics and plowed over anyone who stood in their way. They made sweetheart deals for the benefit of themselves and their friends. They stole millions from charities they ran and took bribes for state grants. Now, after conviction and humiliation, the Silver-Rapfogel machine is still trying to maintain control of Grand Street with a coward’s tactic: anonymous smears against their political opponents. 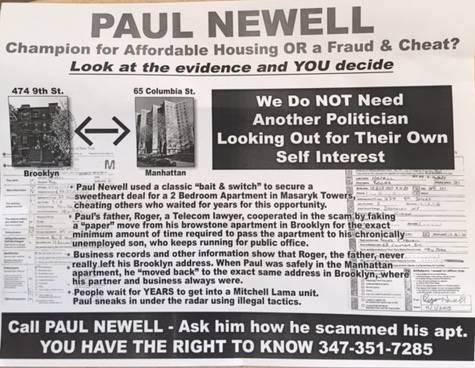 Last week an anonymous flyer was distributed attacking Paul Newell for living in a Mitchell-Lama apartment. 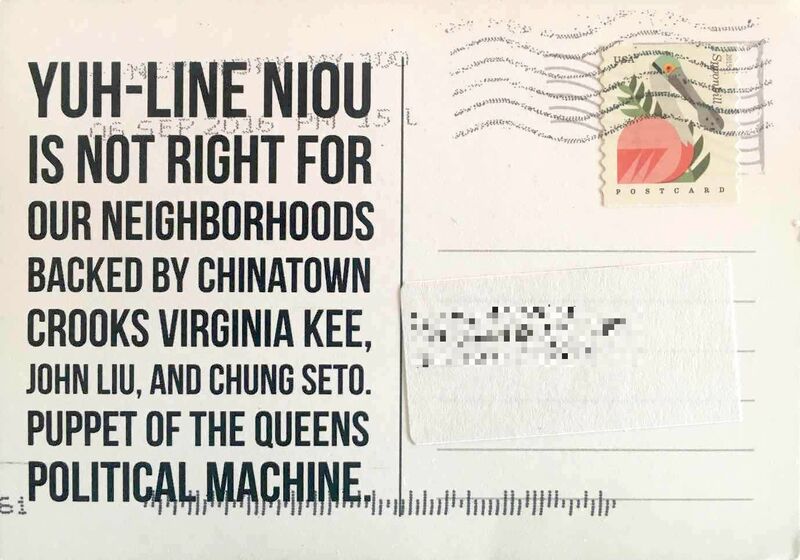 This week an anonymous postcard was mailed attacking Yuh-Line Niou for being Asian and having Asian supporters. Paul Newell earned the enmity of Grand Street power brokers years ago by daring to challenge Silver in a primary. 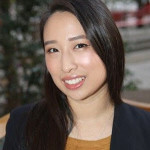 Yuh-Line Niou refused to back out of a special election this past April against the machine’s candidate, Alice Cancel. Now, days before the most consequential election on Grand Street in a generation, it’s payback. If we don’t call them out, they’ll keep at it, more desperately now that their own crimes have made headlines. After Tuesday’s primary, they’ll turn back to coop politics and try to intimidate anyone who challenges Gary Altman for control of the East River board. Just wait, you’ll see. It’s worked for them for decades. Please — don’t let yourself be manipulated. 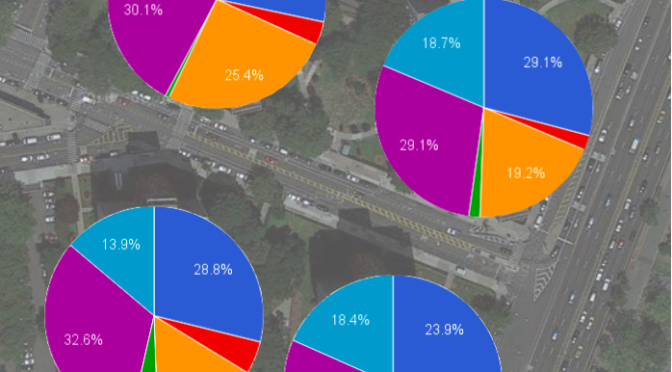 We can’t let convicted criminals control Grand Street anymore. 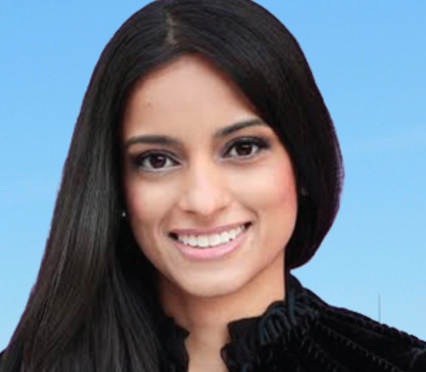 Jenifer Rajkumar knocked on our door one night last week after dinner to ask for our support in her campaign for State Assembly. We stood at the door and talked for more than 20 minutes about the neighborhood, this election, city politics, and her background. She, and the conversation, were remarkable. She was genuinely interested in my concerns about the neighborhood and answered my questions clearly, frankly, and showing a deep knowledge of community issues. She came across as progressive, politically savvy, and razor sharp. The fact that she came door to door to introduce herself, and to ask us about the issues important to us, indicates to me a desire to work hard and do what it takes be a true representative of her neighbors. I moved to New York in 1981 and have lived mostly in the East Village and Lower East Side. 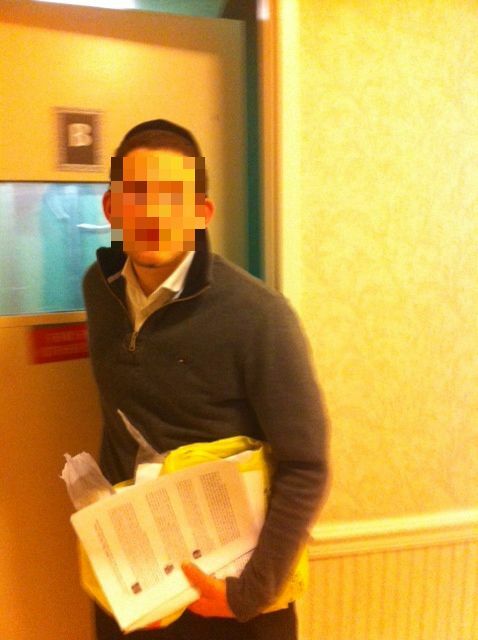 In all that time, I’ve never been canvassed personally like that. All the Democrats running against Alice Cancel have similar progressive politics, but I think we need someone smart, persuasive, and hard-working like Rajkumar in the Assembly. 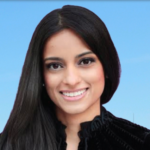 We need more strong, ambitious young woman Democrats in city politics, and Rajkumar won my vote. Agree? Disagree? If another candidate has your support, let us know at hello@cooperativelyyours.org. It’s rare to have such a wide open field for a local representative, with six candidates vying for Sheldon Silver’s old Assembly seat in Tuesday’s primary. All six are Democrats, and if you’ve been to any of the candidate forums, you know that they all agree, more or less, on a lot of issues. So how is a discerning voter to decide whom to vote for? One way is to look at endorsements from familiar faces — other Democrats you trust, editorial boards, unions you have some affinity for. Here, too, there are a lot of mixed signals. See what you can make of it. If you’re keeping score, Paul Newell has clearly racked up the most number of endorsements, only a few of which I’ve listed here. You can see his full roster of endorsements on his website, and decide for yourself if they are relevant to your decision. If I missed anything significant, please leave a note in the comments.